Suman Adhikari poses with a photo of his father Muktinath, one of the 17,000 victims of Nepal’s conflict, 1996-2006. I set out to write an article about the vision underlying Nepal’s transitional justice (TJ) process — was the focus on truth, reparations, justice? etc. — but I quickly understood that any such theorizing was quickly overtaken by political leaders’ desire to use TJ to absolve them of responsibility. Instead, I focused on some of the victims in this article for IPS News. I understand that efforts are being made to draft amendments to the laws creating the truth and disappearance commissions. If anyone has details, contact me. Read my full article on the website of Nepali Times. I’ve written previously about the conflict and its victims, including this blog post. Report of Canada’s TRC, at the 2-year point of its 5-year mandate. Two Canadians in powerful positions with totally divergent views about the impact of residential schools on Indigenous Peoples: thankfully the one with the decision-making power has taken the time to understand the painful history, and legacy, of this atrocious system. In January, Justice David Gibson of the Ontario Court of Justice wrote an insightful commentary on the history of Pikangikum, a First Nation community in northern Ontario. My new hero: Justice Murray Sinclair, Chair of the Truth and Reconciliation Commission of Canada. As a journalist in Canada and Asia I met many indigenous people, and I wrote numerous articles about their issues. I am far from ignorant about their realities. 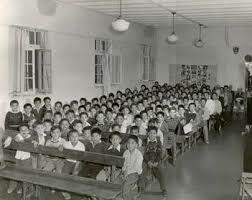 Now that Canada’s Truth and Reconciliation Commission has scheduled the release of its final report, the real work must begin: getting all Canadians to recognise that the residential school system was only a symptom of how society in general mistreated aboriginal people historically, that the effects of that abuse are still being felt, and that it will take an effort by all of us to overcome them. 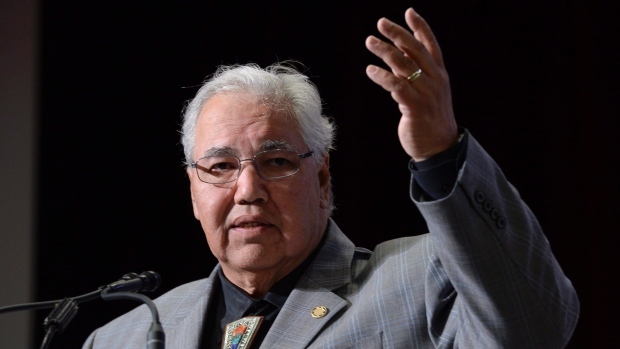 I was happy to see the TRC’s Chairman, Justice Murray Sinclair, say that he wants to kick-start a national debate on how to bridge the gap between aboriginal Canadians and the rest of us. One very public way to engage would be to participate in the Walk for Reconciliation in Ottawa on May 31. I hope to see you there! In my previous post I explained why I wanted to publish accounts from some survivors of Canada’s residential school system. These are the words of Pearl Achneepineskum who attended residential school for 8 years. She spoke at the TRC national event in Winnipeg in June 2010 and in a 2012 report by CBC Radio. It was lonely: all I wanted to do was go home. Getting beaten up, and picked on, and sexually abused … that was the stuff I wanted to run from. *Charlie Wenjack’s body was found a week after he ran away from the Cecilia Jeffrey Indian Residential School in Kenora. CBC Radio News did a special report on his death, and broader issues linked to it.